New for spring 2012 and a UK exclusive to us at size?, Nike Sportswear bring us this new colourway in one of their oldest/most iconic running silhouettes, the Pre Montreal Racer. First released in 1973, the Pre Montreal Racer was originally a racing spike shoe designed specifically for mid & long distance runner Steve Roland Prefontaine. Prefontaine, or ‘Pre’ as his friends and colleagues called him, was a student at the University Of Oregon and Nike’s first ever-sponsored athlete. At the age of 21, he clinched 4th position in the final of the coveted 5000 meters at the 1972 Munich Olympics, but despite this great achievement his full potential was seen by many to still be in the developing stages. Following Munich, Pre would break countless state and US records in pursuit of his ultimate dream, winning a medal at the fast approaching 1976 Montreal Olympics. Seen by many around the world at the time as the favorite to take a number of mid and long distance gold medals in Montreal, Pre tragically lost his life on 30th May 1975 when, for unknown reasons, he lost control of his orange MGB convertible after returning from a party, shattering his and many others dreams. 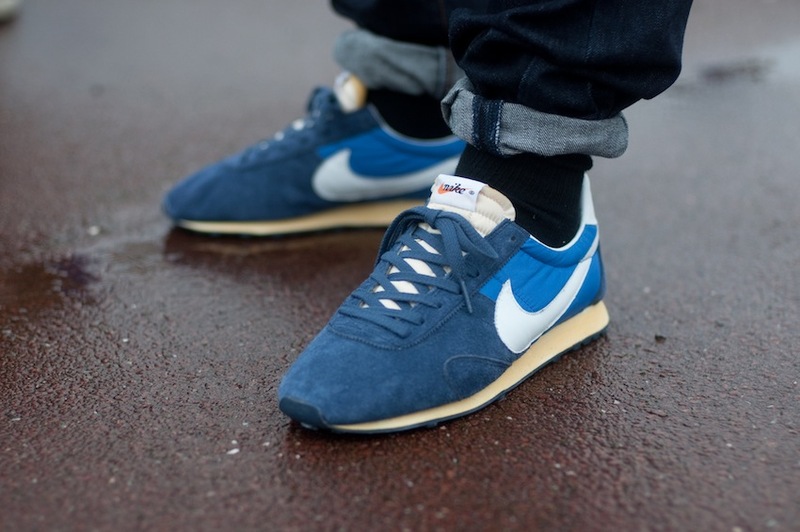 Since his death, Nike have continuously paid homage to Pre’s life, achievements and potential in various forms and spring 2012 is no exception with the reissue of the Pre Montreal Racer. Featuring a two tone suede and nylon upper and distinctive Nike Vintage treatment, they launch exclusively in the UK from size? stores and online tomorrow (Friday 23rd Dec). For more pics of the Pre Montreal Racer and info on Pre’s life, head over to wize? Previous Post Previous post: Nike Air Yeezy 2 – detailed pictures released!